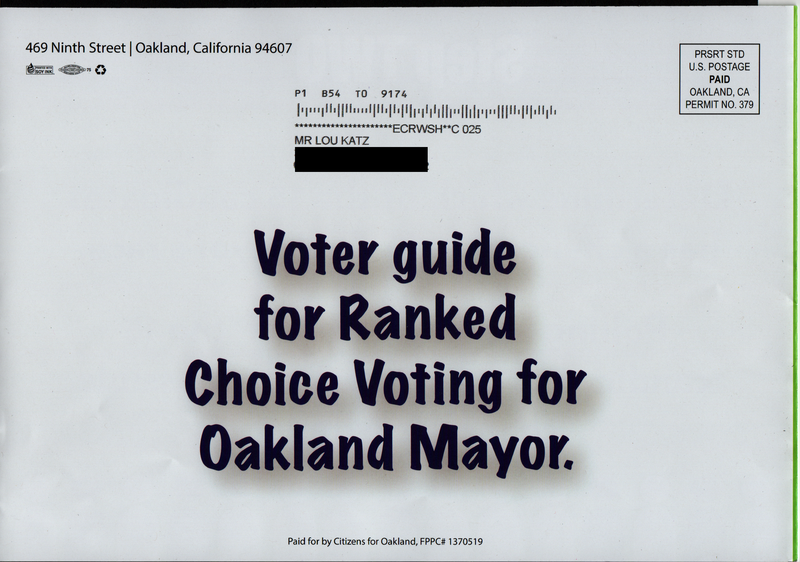 Today I got a mailer from Citizens for Oakland, a group I had never heard of. I thought it might explain ranked choice voting, but it didn’t. It contained the most unflattering photos possible of candidates Quan and Kaplan, and very slick photos of candidates Schaaf, Parker and Tuman. Since Schaaf has been promoting transparency, it struck me as curious that she was part of this essentially anonymous mailing. 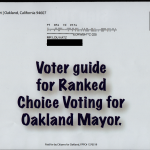 I could find no information at all about Citizens for Oakland, and have seen a report that this organization is not listed in the directory for the address given on the mailing. Hmmmm.